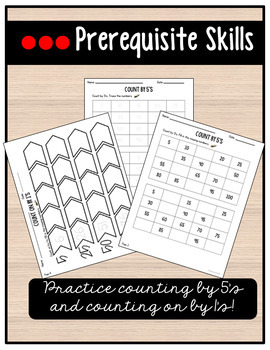 My students have always struggled with counting coins-- It's a tricky skill! 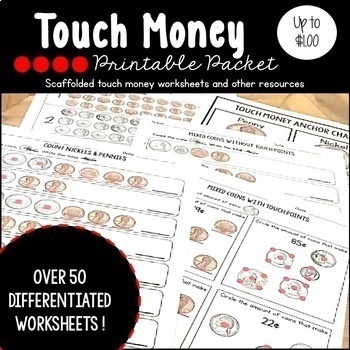 The touch money strategy makes counting coins concrete and visual. My students have excelled at counting coins with this packet! 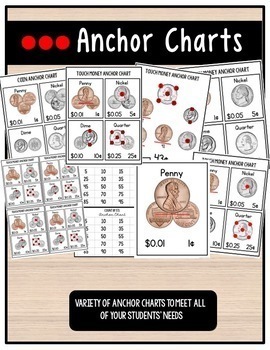 I am able to quickly fade the touch points and they are counting real coins in no time! I like to bind these worksheets and create a packet for my students. I teach a mini lesson and we work through a worksheet a day. I also like to print off the packet and store the sheets in a binder. I then put an individual sheet in a page protector sleeve and students use a dry erase marker to complete it. 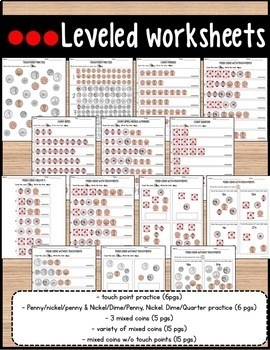 You can also use the worksheets for assessment purposes. I use the counting coins without touch points to collect some quick baseline data for counting coins. Check out these related products in my store!